A day tour is proposed to Crimson Lake (near Rocky Mountain House) on Saturday 28 February 2015, leaving Red Deer at about 10am. Please call (403 340 0050) Richard Townell or email rtownell@gmail.com if you want to go. We may be able to car pool. This entry was posted in Central Alberta, Day Tours on 2015/02/24 by parkland. January 30,2015[Friday]. Join us for a Moonlight ski from Great Chief Park or walk around Bower ponds area depending on weather, meet near picnic shelter at 5:30 pm sharp to ski. A potluck supper/social to follow at about 7-7:30 pm .BYOB if you desired, chili [meat & vegetarian] tea ,coffee and juice supplied. Headlamp optional. Max of 20 participants . This entry was posted in Day Tours, Red Deer on 2015/01/21 by parkland. 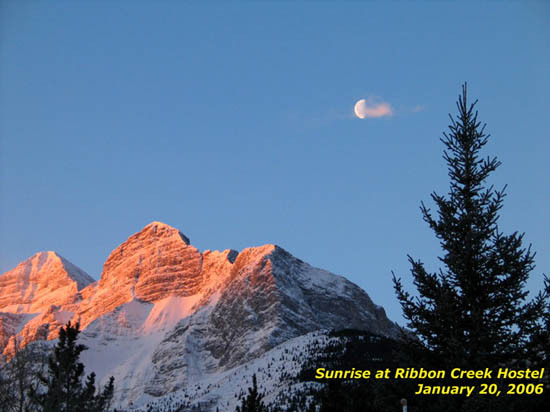 December 13 [Friday] 2013 Join us for a Moonlight ski from Great Chief Park , meet near picnic shelter at 5:30 pm sharp to ski. A potluck supper/social to follow at about 7-7:30 pm. BYOB if you desired, tea ,coffee and juice supplied. This entry was posted in Day Tours, Red Deer and tagged Great Chief Park, Moonlight on 2013/11/28 by parkland. A Superintendent’s Order has been issued in Jasper National Park for the access to Tonquin and Edith Cavell areas effective from November 1 through February 15th annually. This order is issued to prevent human roads and trails from facilitating an unnatural level of predator access to the threatened woodland Caribou. If you violate this order you can be charged under the Canada National Parks Act. 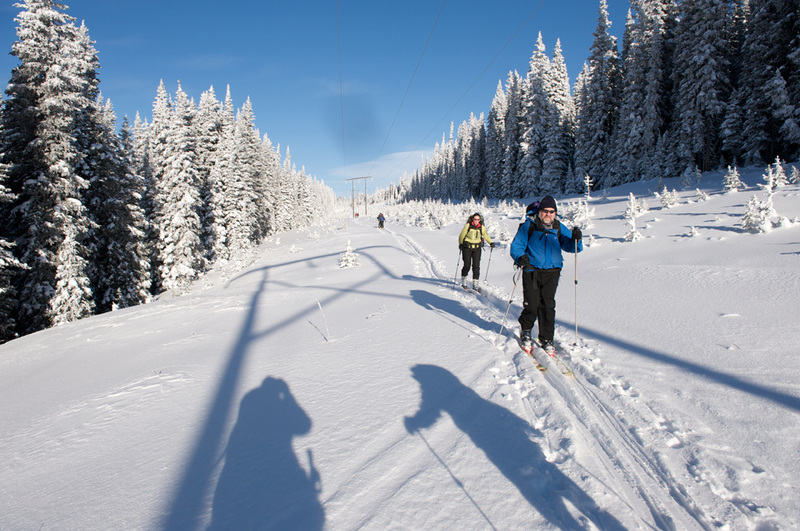 This will affect skier access to the Tonquin and Edith Cavell as well as the described exit for Winston Churchill Traverse (Alpine Ski Tours in the Canadian Rockies 1). Slack-country access off Marmot Basin south of Marmot Pass into Portal creek is restricted as well. Normal access to the Brazeau Icefields via Poboktan Creek to the Poligne Creek confluence will not be affected but you will not be allowed to access south from this point. Ice climbs on the Highway 93a that will be unaccessable during this time are ‘Looking out the Back Door’, ‘Fall of Dune’ and ‘Sorrow Falls’. Again, these are just delayed access and will be open to skier/climber traffic for the Tonquin after Febuary 15th and for the Brazeau area after Febuary 28th. This entry was posted in Club News, Day Tours, Jasper National Park, Mountain Tours on 2013/11/07 by parkland. Day tours are for both members and non members. If you are not a members you will be required to sign a waiver. Please call the Co-ordinator if you are interested in attending a tour, as tours may be cancelled if no interest is shown prior to one week in advance . As with Mountain trips if tours are out of town carpooling may be arranged and cost of gas is shared with passengers. Please watch for any changes or additions to the schedule. This entry was posted in Central Alberta, Day Tours, Red Deer on 2013/10/27 by parkland.